Estate: Domaine du Bel Air is a family estate located in Bourgeuil, Loire Valley in central France. The family has been making wine at the estate for over 5 generations, however it wasn’t until 1979, under the direction of Pierre Gauthier that they began selling their wines. Today Pierre still heads the estate, along with his wife and son Rodolphe. The 18 hectares of vineyards are located in a region famous for its caves and clay/limestone soil. In fact, the Gauthiers’ cellars are located in one of the caves, with the vineyards [with vines up to 80 years in age] on the surface above. The estate is renowned for crating expressive, “deep, age-worthy Cabernet Francs”. Winemaking: The estate has been certified organic since 2000. 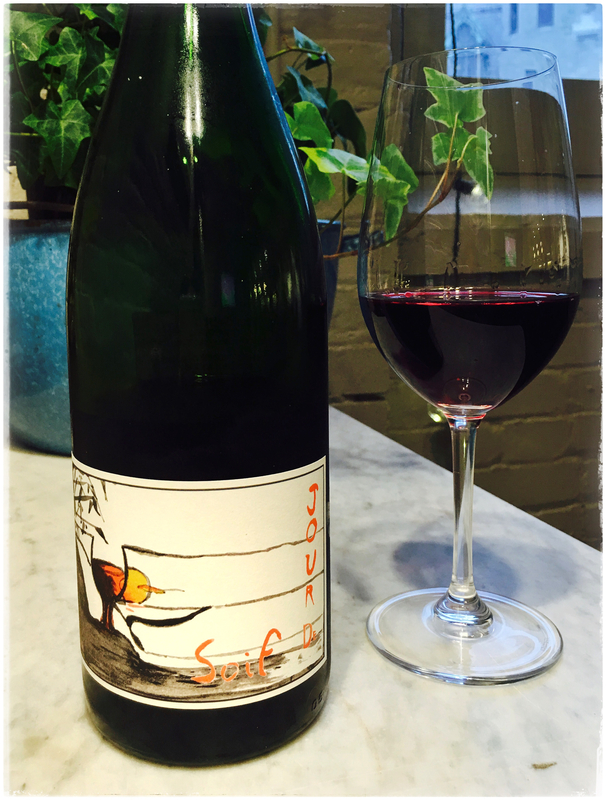 ‘Jouf de Soif’ [Day of Thirst] is the estate’s entry level Cabernet Franc. Grapes are hand harvested from 20 year old vines. Fermented with only native yeasts in stainless steel tanks, then aged in stainless steel tanks and bottled un-filtered. Tasting Notes: Deep red violet in colour with engaging aromas of peppery spice, dark fruit and smoked herbs. Vibrant raspberry, blackberry, hints of sour cherry and roasted, earthy herbs are complimented by layers of spice, chocolate and espresso on the lengthy finish. A confident, well composed glass that keeps you reaching for more, as its surprisingly light on its feet even tho its remarkably spicy.